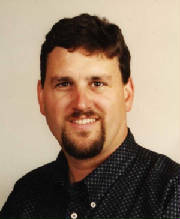 An annual scholarship has been established in honor of Mark Jansen, #733, a member of Beta Sigma who passed away in May of 2010 after battling brain cancer. Mark was an undergraduate during the early to mid ‘80s and one of the chapter’s most influential and inspirational members during that time. Mark had a tremendous impact on the house and everyone that met him. He truly was a dedicated husband, father, frater and friend. The award amount for the academic year 2018 – 2019 is: $300. The scholarship recipient must be a member in good standing with the Beta Sigma chapter and a full-time student at USC. The scholarship will be awarded based on chapter and campus involvement, achievement and need.